Dynamic, resourceful, warmly enthusiastic, ethical, strong negotiator and hard-working." 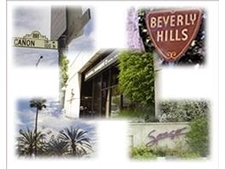 Over twenty years Cynthia Radom has been a Realtor® dedicated to helping the maturing generation, their family members and their professional advisors create a plan for selling or buying real estate in Greater Los Angeles and surrounding Beverly Hills areas. Cynthia Radom is a Certified Seniors Real Estate Specialist. Cynthia understands the special lifestyle needs and often the financial issues of longtime homeowners, and how to handle the emotional upheaval when clients sell their family home. Most of her clientele have not handled a real estate transaction in 40-50 years, if ever. Cynthia offers a step-by-step, easy to adhere-to plan for any property transaction. Her special consulting skills help the 60-plus real estate Seller and Buyer look at the big picture, factoring in financial issues and future and current care needs to ensure that each client arrives at the best decision about selling a property and finding a new home. Over 2,000 L.A. area homeowners and financial and legal professionals receive Cynthia's complimentary quarterly newsletter. 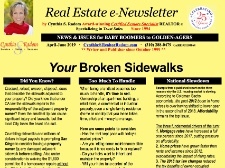 Cynthia Radom has been writing and publishing a must-read quarterly newsletter since 1999. 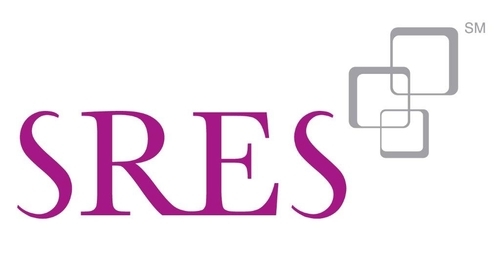 Real Estate Matters contains pertinent information targeted to Baby Boomers and Golden-agers with articles such as: insights into local condo & Senior residences; tax saving tips; client experiences; property transfer mandates; and buyer/seller suggestions. My parents decided to sell their home of 40 years in Westwood, CA, and move to Colorado where my husband and I live. Mom and Dad (both around 90-years-old) had been thinking about selling their home for awhile, and had researched the REALTORS® in their area. They attended Cynthia Radom's Moving Made Easy seminar and decided that she was not only extremely knowledgeable about the home market, but she also specialized in helping Senior homeowners through the entire sale process. In addition, Cynthia helped with services such as packing and moving companies. My brother and I met with Cynthia, and we all agreed that she was the perfect choice, especially in our absence. During the short two-week period that the house was for sale, Cynthia was very protective of my elderly parents, and was very sensitive to the stress that open houses and fielding the various offers could have on them. She kept everything as simple and uncomplicated as possible. She also made sure that my brother and I were involved in every step of the process, and kept us informed daily via emails, texts and phone calls. Very important. My parents arrived in Lakewood, CO, and, thanks to Cynthia and all of her hard work and excellent attention to details, the house sale and subsequent move went very smoothly. Cynthia continues to check in with us from time to time. It's obvious she really cares about her clients and their families, and wants to make sure that the entire process of selling and moving is a good experience for all involved. It's never easy to make a move like this, but because of Cynthia's expertise and kindness towards our family, it went better than we could have ever expected. Cynthia is the only agent who has a true understanding and interest in Seniors"
Today’s busy lifestyle of adult children often requires Senior parents to handle the task of moving on their own, especially if the family lives out of the area. 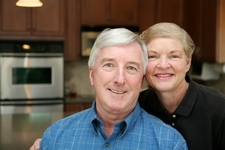 Cynthia often becomes a surrogate daughter for many Sellers, being readily available for all selling and moving tasks. No matter if Cynthia is working with Seniors, their family or their Trustee she has a list of trusted vendors who assist with all moving needs. 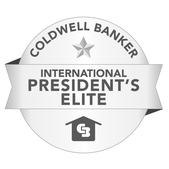 Ranked in the top 1% out of 41,800 agents for her overall sales accomplishments, Cynthia is designated as a President’s Elite member of the Coldwell Banker Brokerage. 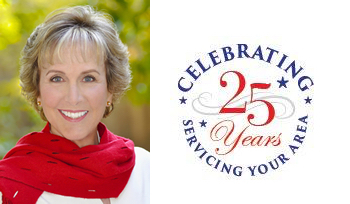 Every Seller and Buyer who works with Cynthia has access to her team of experts and advisors, including: relocation services specifically designed to move Senior homeowners to a new location, home cleaning detailers, consignment or auction companies for selling valuables and companies that remove all unwanted leftover items in the home, garage and basement. In addition, Cynthia’s prospects have access to her list of respected plumbers, roofers, estate planning attorneys, pest control servicers and all other home service providers at any time. As in independent contractor, Cynthia works with the #1 Coldwell Banker Brokerage in Beverly Hills CA, the highest producing office in the company’s sphere of business, internationally. The benefits to her clients are far reaching in Web site marketing to prospective Buyers for each of her listings, exchange of information with other top-producing agents and networking for all real estate matters.